The Little Pee Dee River meanders through Marlboro, Dillon, and Marion counties. This blackwater river is a tributary of the Great Pee Dee River, which starts in the North Carolina mountains and empties into Georgetown‘s Winyah Bay. The Little Pee Dee joins the Great Pee Dee at the convergence of three counties: Georgetown, Horry, and Marion counties. 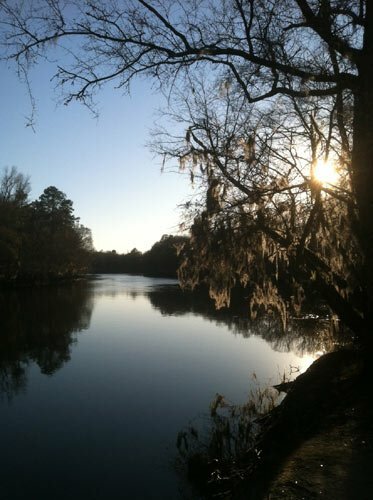 These rivers and the entire Pee Dee region are named after the Pee Dee Indians, who were the original inhabitants of the area. The part of the river shown below is called Fork Retch and is located near Mullins off SC 76. The Little Pee Dee River offers many forms of recreational opportunities for visitors. People can frequently be seen on a float, enjoying a lazy cruise downstream. Fishing, camping, canoeing, and kayaking are also great ways to experience this scenic river. 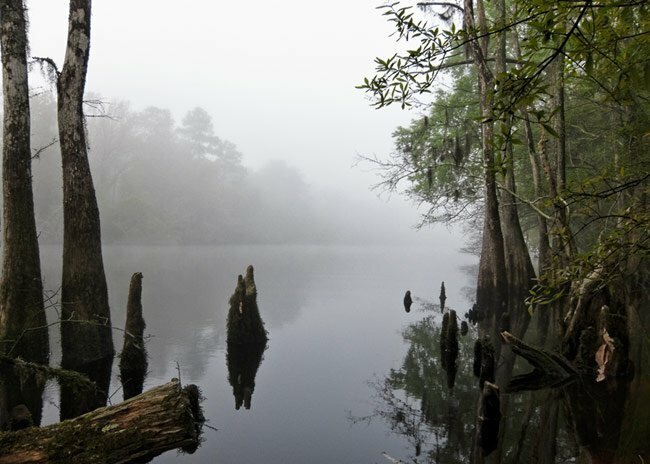 Several parts of the Little Pee Dee have received State Scenic River designations. If you aren’t interested in getting in the water, you can always visit Galivants Ferry – best known for its political rally the “Galivants Ferry Stump” – which is located along the river. For those seeking solitude, the Little Pee Dee has many retreats, like this beautiful old train trestle.